Increase your product display with all round visibility, and rear loading doors for ease of use. 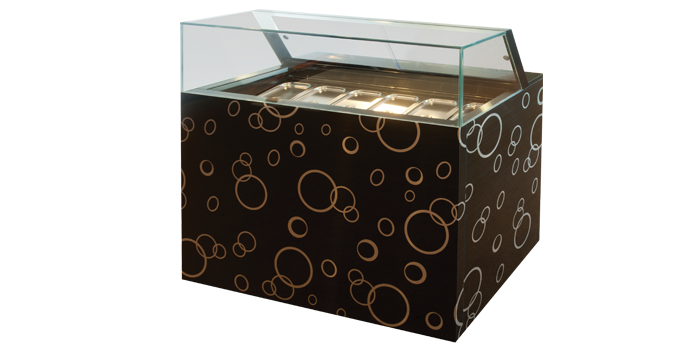 Refrigerated counters ideal for displaying ice cream, available in numerous colours and finishes. • Glass sliding doors with stainless steel frame on the operator’s side.